A judge has awarded Sony access to the ins and outs of George Hotz's PayPal records. Things might not be going as PS3 hacker George Hotz might have hoped in Sony's lawsuit against him for posting the console's root key online. In addition to Sony being awarded a restraining order against Hotz, along with the details of his website's visitors, a judge has now given Sony permission to sort through Hotz's PayPal records. The justification is so that Sony can determine who and where any donations may have come from that allegedly supported Hotz's work. The judge awarded Sony the ability to subpoena PayPal records between the dates of January 1, 2009, and February 1, 2011. One of the issues in the case is whether or not it should be held in California as opposed to Hotz's home state of New Jersey. Sony plans to prove that California residents aided Hotz through PayPal donations so that the case can proceed on the west coast. 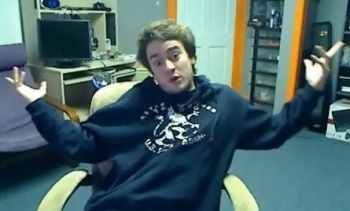 Hotz denies that he accepted any donations or made any profit from his PS3 hacking activities. Whether he did or not isn't the main issue, as Sony accuses Hotz of breaching the Digital Millenium Copyright Act which says that copyright protection "circumvention devices" cannot be distributed. Hotz has received plenty of donations towards his legal fees, so Sony could have a fight on its hands no matter the location.